The controller of TV platforms at BBC Future Media and Technology, Rahul Chakkara, has let slip that the iPlayer is to come to Freesat in beta form this month. Writing on the BBC's internet blog, Chakkara explained the technology behind getting the player on to the free-to-air platform, noting that: "MHEG-5 is a standard that has been used for developing and presenting interactive television in the UK for nearly a decade. "Recently, the Digital Television Group supported by BBC R&D, has extended the standard to use the interaction channel for handling Internet video. 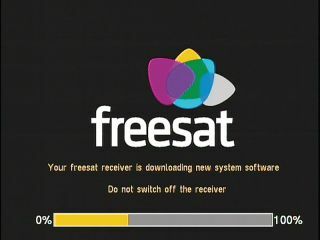 "This standard has been adopted by Freesat and incorporated into the DBook 6.1 used in Freeview HD devices." Further on in the blog post, he goes on to explain: "We have been developing BBC iPlayer using this standard. I expect to start a Beta deployment by the end of November using capable Freesat devices." Once put in place, Freesat will join the likes of Virgin Media and Sony and Nintendo (via the PS3 and Wii) as prominent TV platforms for the BBC's on-demand service. The news comes just as Freesat announces it is ramping up its advertising for the set-top box, focusing on the Freesat+ and Freesat HD services, with the adverts centering on "idiosyncratic British TV fans to illustrate the benefits watching HD television, without paying any monthly bills."